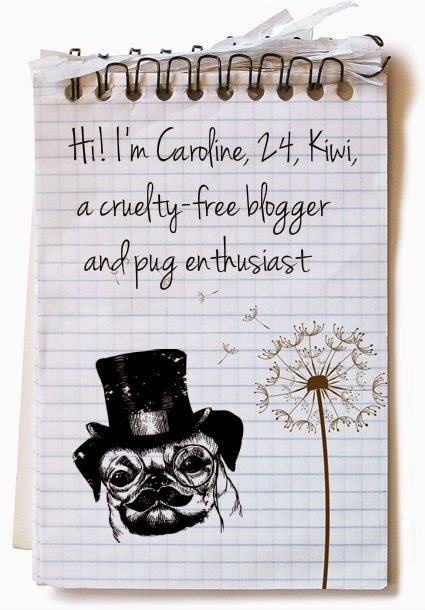 Well hello there...this is a place I've created to review and explore what's out there in the world of cruelty free beauty and skincare from a kiwi girl's perspective, and maybe some other fun things too. I aim to only review and test products from companies that do not conduct any animal testing either on finished products or ingredients, and that do not employ third parties to do it for them (horrible, I know). Things are changing all the time in the cosmetics industry regarding animal testing, and I will be keeping up to date with any of these changes. I hope, like many others, that one day every single piece of make-up and every bottle of skincare can claim to be cruelty free in truth.